Few distance runners were more dominant in 2017 than Kenya’s Hellen Obiri. After earning silver in Rio last year, the 28-year-old went undefeated over 5,000 meters and suffered just one loss above 1500 meters the entire outdoor season (a 3k in Birmingham just one week after she won the world title in London). And Obiri was still a stud when she stepped down to the 1500/mile: she handed Jenny Simpson two losses, including a stellar 4:16 mile (Kenyan record) in London on July 9. The big question, as we head into 2018: will the 5,000 world record of 14:11.15 live to see its 10th birthday? Tirunesh Dibaba set the mark on June 6, 2008, in Oslo, and in the past three years we’ve seen a 14:12, a 14:14, a 14:15, a 14:16, three 14:18s (one was indoors), and a 14:19. The record seems set to go, and if Obiri, Genzebe Dibaba, and Almaz Ayana are all healthy next year, there’s a good chance it could fall — especially with no major championship to peak for. Obiri was a slam dunk for the #1 spot. 3k world leader? Check. 5k world leader? Check. 5k world champion? Check. Though Obiri was not unbeatable — Laura Muir got her over 3k indoors, and Obiri was only fourth at the Birmingham DL meet on August 20, perhaps suffering from a post-Worlds hangover. 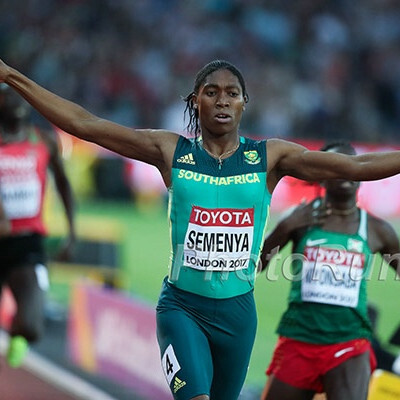 But she was brilliant the rest of the year, recording winning margins of 9, 15, 5, and 2 in the Diamond League and a six-second win at Worlds where she took 10k champ/world record holder Almaz Ayana to the woodshed. Incredibly, Hassan appeared in our top 10 in three different events (800, 1500, 3k/5k), clocking a ton of PRs (1:56.81 800, 8:28.90 3k, 14:41.24 5k) along the way. Hassan stressed that she is still learning the 5k — she didn’t run any in 2015 or 2016 before returning to the event this year — and while she may not have the pure strength to grind with Obiri and Ayana, she has the speed to deal with everyone else. Teferi, the 2015 silver medalist at Worlds, finished top-three in two DL events (including the final) and was fourth at Worlds. Considering that there were only five official DL events, and two of the women who beat her at Worlds (Obiri and Hassan) have already appeared on this list, she is our choice for the #3 spot. 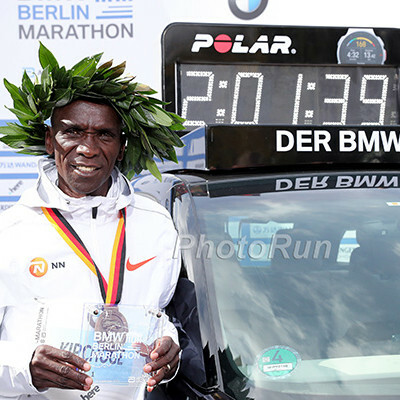 2017 was a breakthrough year for Kipkemboi. Before this year, Kipkemboi had represented Kenya just twice in global competition: she went out in the heats of the 800 at the 2009 World Youth Champs and finished 13th in the senior race at World XC in 2015. 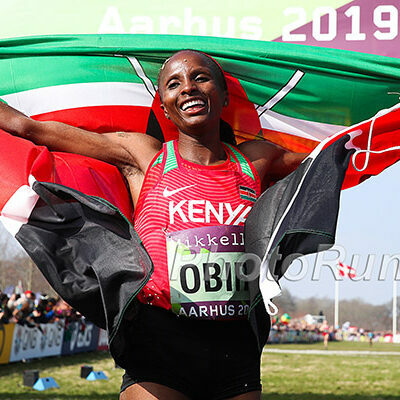 This year, however, she was a clear runner-up to Obiri at the Kenyan Trials and backed that performance up with three top-four finishes on the Diamond League circuit and a fifth-place showing at Worlds. Muir focused more on the 1500 this year, but she accomplished some special things at 3k and above as well. Indoors, she ran a European record of 8:26.14 — beating Obiri in the process — to move to #5 on the all-time list, and a month later won Euro indoor 3k gold in Belgrade (she also ran 14:49 for 5k in Birmingham). Outdoors, she ran 8:30.64 in Monaco and finished sixth at Worlds doubling back from the 5k. Ayana, our World #1 last year, was quite clearly the second-best woman in the field at Worlds, as she and Obiri dropped everyone else in London. Had Ayana been healthy (or in the case of the Monaco 3,000, allowed to race by the Ethiopian federation), she likely would have finished much further up in our rankings. She still makes the top 10 because she ran so well at Worlds, but she’s penalized because Worlds was her only 5k of the year. Dibaba is hard to place. Her 14:25 win at Pre was one of the best individual races of the year — only Obiri ran faster — but that race wasn’t even a Diamond Race event. In Dibaba’s other DL appearance, she was just sixth, and she chose to only contest the 1500 at Worlds. In retrospect, one could argue that running the 5k instead would have been the smarter choice, but given how ineffective Dibaba looked in London (she barely made it to the final, where she finished last), it may not have mattered which event she ran. Eighteen months after Spanish police raided her hotel in Spain, Dibaba has continued to compete, and she has continued to run fast (in addition to her 14:25, she ran a 4:16 mile and a world record of 5:23 for 2k this year). 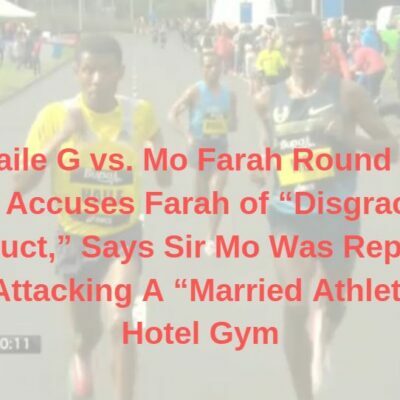 Though Dibaba has never failed a test or been implicated directly, the track world is still waiting to see if any sanctions await for Dibaba or her coach Jama Aden. Chepkoech’s specialty is the steeplechase (she famously missed the first water jump in the World Championship final this year) but she was so good in her two 3k/5k races that we had to include her in our world rankings. In the first, she clocked 8:28 in Monaco, the #2 outdoor time of 2017, behind only Hellen Obiri. She also came back in September to run the Diamond League final in Brussels and placed fifth, in the process becoming just one of 10 women to break 14:40 this year. Gidey, a two-time winner of the U20 race at the World Cross Country Championships, did not fare quite as well in her first senior championship in 2017 as she could only manage 11th at Worlds in London. With that said, she raced very well for someone who has yet to hit her 20th birthday and should be a fixture in the event for years to come. She opened her season with a nine-second PR of 14:36 in Shanghai, good for third place, and lowered her best to 14:33 in Rome, less than three seconds off Tirunesh Dibaba’s world U20 record. After Worlds, she bounced back to finish a respectable seventh in the DL final. Chepkoech was spectacular running the 5,000 this year, taking fifth in Shanghai and running 14:27 in the DL final in Brussels to take second and become the second-fastest woman in the world this year. But she didn’t run Worlds, and her two 3ks — 8:53 for second in Lucerne and 8:51 for fourth in Madrid — were not particularly impressive. That pushes her down our list, but her run in Brussels is enough to put her in the top 10. Rowbury was only second at USAs, but she was the top U.S. finisher at Worlds, the U.S. leader at 3k and the only American woman to break 15:00 twice in 2017. In addition, she was 3-1 head-to-head against Shelby Houlihan — the other contender for the #1 spot — and though one of those races was over 1500, the other two were important (Monaco Diamond League, Worlds). Running faster than Houlihan and beating her at Worlds gets Rowbury the top spot in our rankings. Houlihan is more proof that Jerry Schumacher knows more about running than the rest of us. Houlihan, an NCAA champion at 1500 and USA finalist at 800 meters in college at Arizona State, looked set for a pro career as an 800/1500 runner. But she moved up to the 5,000 after joining Bowerman Track Club and the decision proved successful immediately as Houlihan made the Olympic final last year and beat the two fastest Americans ever at the distance to win the U.S. outdoor title in 2017. Houlihan did finish behind Molly Huddle at Worlds, but she beat her at USAs and ran faster at both 3,000 and 5,000 this year. That, coupled with her indoor heroics (U.S. champ at mile and 2-mile) earns her the #2 ranking. Huddle was 12th at Worlds — her lowest finish since her debut appearance in 2011 — and third in the 5k at USAs — her lowest finish in that event since 2008 — two statistics that demonstrate just how consistent she has been this decade. This year, Huddle took on a particularly grueling workload, doubling up in the 5k and 10k. At USAs, at age 32, Huddle had to double back from a 10k victory at USAs to race two kickers the following night in the 5k. 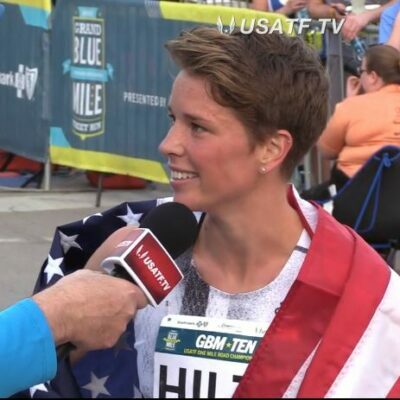 At Worlds, after taking eighth in the 10k, Huddle had to come back and grind her way to the 5,000 final by running 15:03 in the prelims — her fastest 5k of the year. By the time Huddle finished 12th in the 5,000 final, her exhaustion was clear. 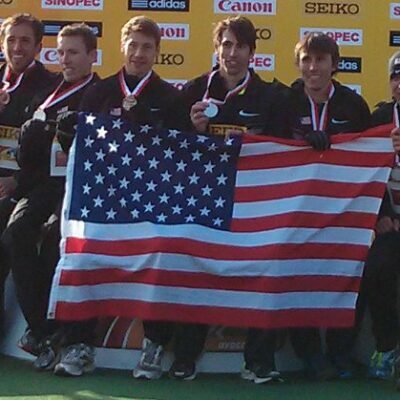 Huddle also won her sixth U.S. road 5k title in November. Huddle is still waiting for that World Championship medal, but as she transitions to the marathon, she leaves behind one of the greatest track careers ever by a U.S. long distance woman, with six national titles, the #2 5k time ever and the American record in the 10,000. The injury-prone Infeld only ran one 3k and one 5k this year, but her 5,000 was so impressive — a three-second PR and U.S. leader of 14:56 in Heusden — that she comes in at #4. Other than Rowbury-Houlihan-Huddle, the only other U.S. woman under 15:10 outdoors was Natosha Rogers, and she was only 11th at USAs in the 5k. Schweizer dominated the U.S. collegiate competition this year, using her kick to win NCAA indoors in a then-PR of 15:19 before burying the field outdoors to win by five seconds in 15:38. Schweizer showed she could do it against the pros as well, taking fourth at USAs behind the big three of Houlihan, Rowbury, and Huddle. Though she could only manage 11th at NCAA XC in November, Schweizer remains one of the best collegiate prospects in the Class of 2018; expect a fight for her services when she turns pro in June.